Making coding a snap and having fun with electronic circuits - that's what this cool Snapino set adds to the Snap Circuits learning. 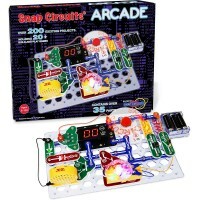 Making coding a snap! 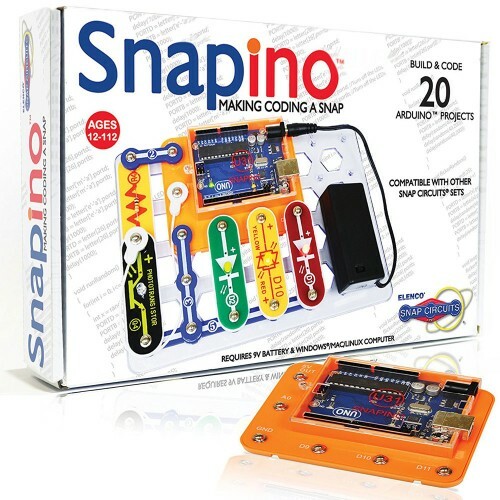 Snap Circuits Snapino Coding Electronic Projects Kit is an introduction to the open-source Arduino hardware-software coding environment embraced by the Maker community worldwide. 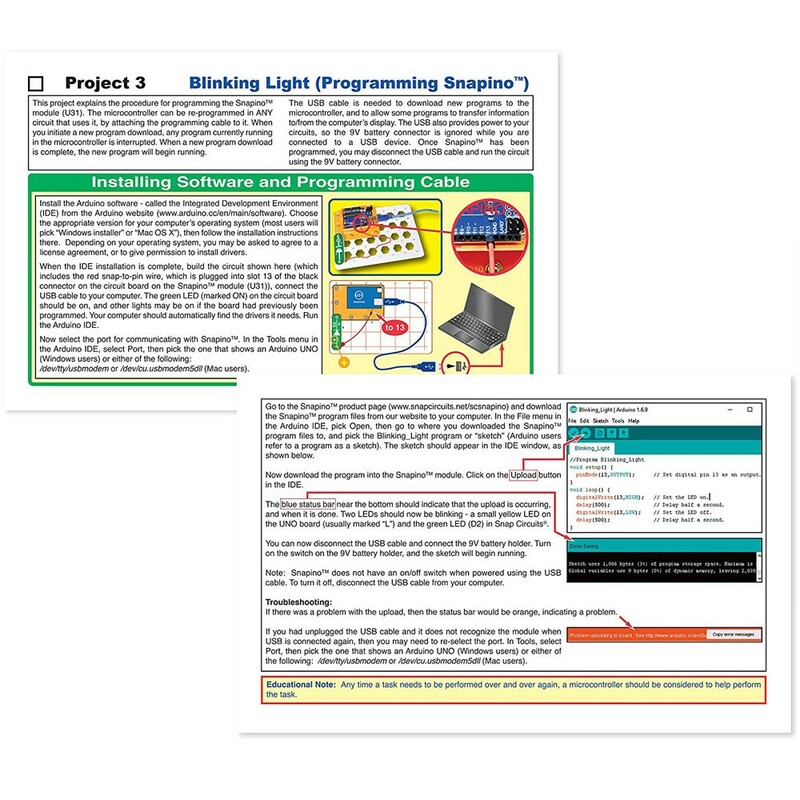 Arduino is the most popular microcontroller used by Makers and Do-It-Yourselfers to MAKE and DO. 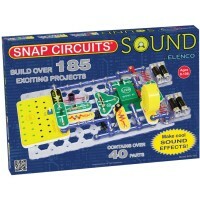 No need for breadboarding since Snap Circuits snap together and make prototyping circuit designs a snap! The new amazing Snapino module is a fully-compatible Arduino UNO board with all normal features and is compatible with other Arduino shields and components. 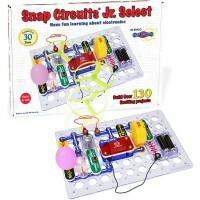 - Snapino can be used with other Educational Toys Planet's Snap Circuits sets to make larger circuits. 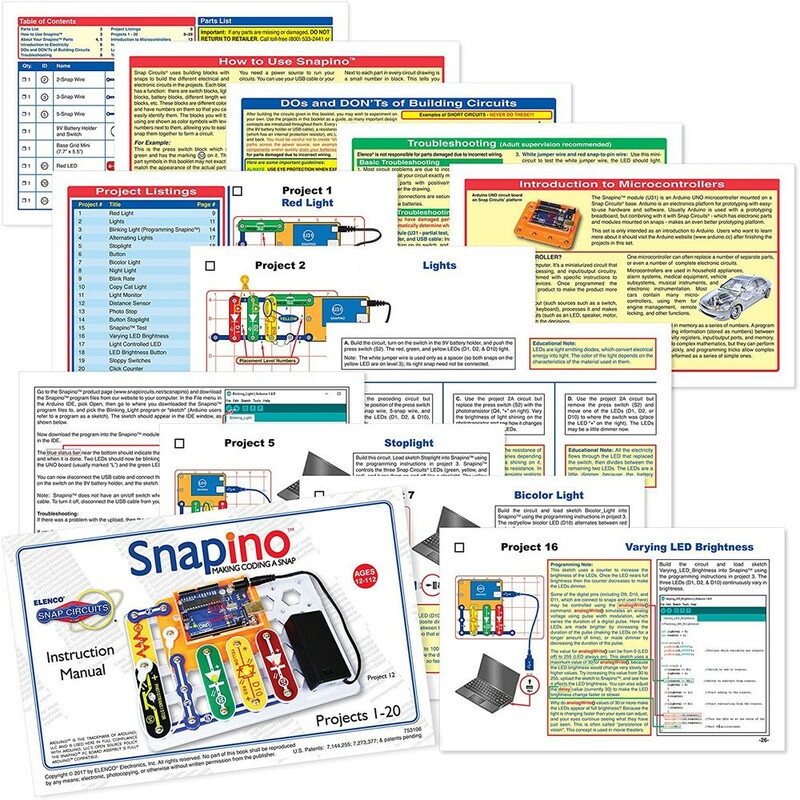 Snap Circuits Snapino Coding Electronic Projects Kit features 20 projects that gradually introduce you to Arduino coding with sketches (programs) already written for operating the 14 included parts. 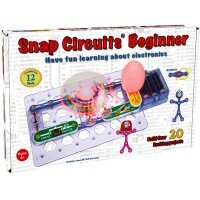 Additionally, you will find sketches written for Snapino with other Snap Circuits sets so you can keep your fun going. 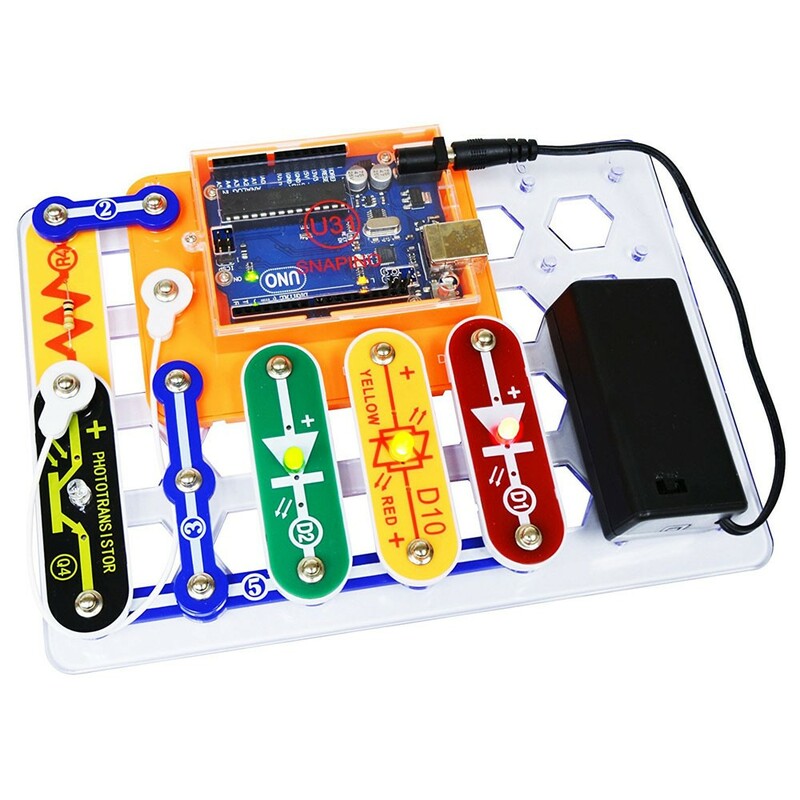 The circuit kit includes Arduino UNO compatible Snapino module, 6 snap circuit modules, 3 snap wires, snap jumper wire, snap to pin wire, USB cable, 9 Volt battery holder, and instructions booklet. 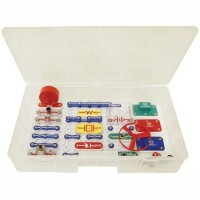 The kit requires a 9V battery (not included). 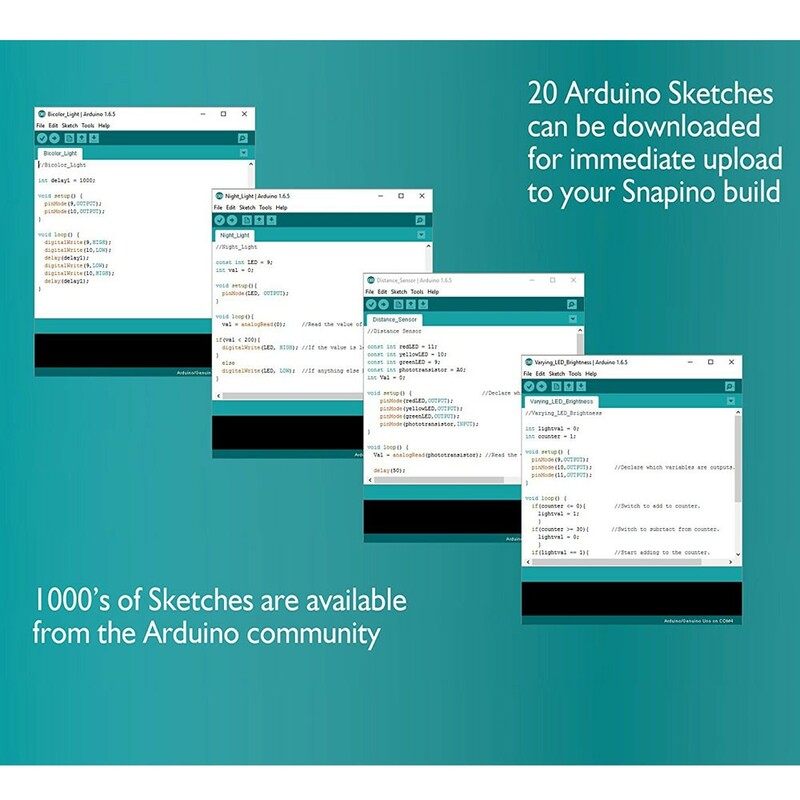 You will need to download the Arduino application from Arduino's website and download Snapino sketches (programs) from Elenco website. 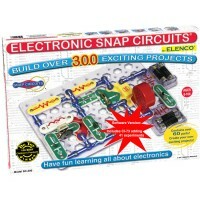 Dimensions of package 2.25" x 7.5" x 11.5"
Write your own review of Snap Circuits Snapino Coding Electronic Projects Kit . 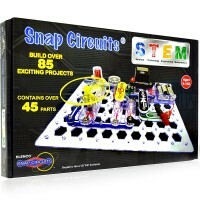 Rating: 4 Great prize for STEM Club by By A customer This was a prize we gave away for STEM Club on how to build circuits. The family who won it raved about how easy it was to use and that they can add additional parts to it. 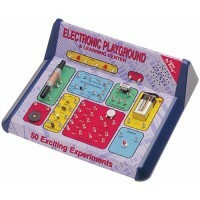 Perfect for STEM activities or for a prize. 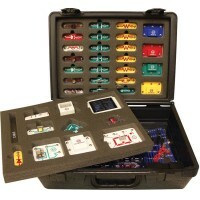 Rating: 5 Keeps son busy for hours by By A customer Son loves this set! Rating: 5 Five Stars by By A customer Good product !!! Rating: 5 5 cause I love the product by By A customer 5 cause I love the product. 1 cause I am disappointed in it. Some reason lights will automatically alternate. The code won't load into the UNO. void () is bad. Yeah- otherwise the product is awesome. I just wish it would work and be easier to do it. :) I'll get it to work eventually. I want this product to work so badly. 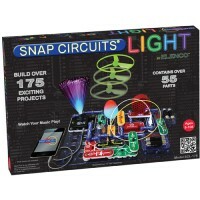 Rating: 5 Snap Circuits Snapino by By A customer I'm glad to see Snap Circuits come out with this, my eight year old grandson and I have been playing and learning with them for more than a year now. Adding an Arduino module makes this even more fun.